Warsaw has, for a second time in 12 months, rejected a request from the European Court of Human Rights to hand over information involving the alleged existence of secret CIA prisons operating on its territory. The Polish government said it could not comply with a new request filed by the European court over the detention of Saudi-born Abu Zubaydah, who was later transferred to Guantanamo Bay prison, Reuters reported Tuesday. The officials said their comments might compromise a Polish criminal investigation. "The government takes the position that at the present stage of domestic proceedings, were they to address in detail all the questions submitted by the court, they could be seen as interfering with the competencies of the prosecution authority and the courts," the agency reported the government as saying in its statement. Although Poland has been applauded for being the only Eastern European country to begin its own investigation into claims of clandestine CIA prisons operating in the country, human rights activists have expressed their frustration with the lack of progress in the government’s five-year-old inquiry. 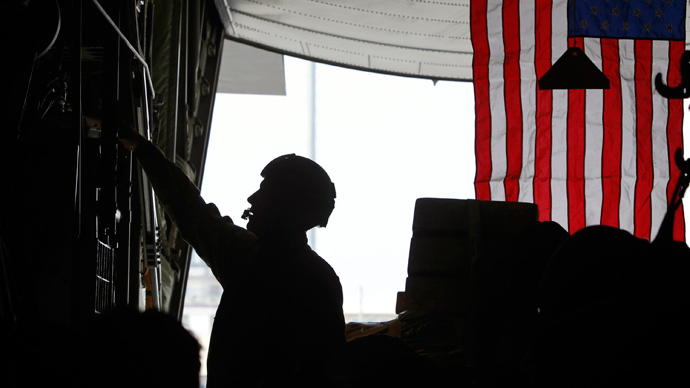 Human rights organizations say the secret prisons served for "extraordinary rendition" of suspects who were flown in from around the world without legislative oversight, and were often tortured. Any proven participation of Polish officials in the alleged US intelligence program would be considered a crime under both Polish and international law. In 2008, Prime Minister Donald Tusk, while falling short of admitting Poland’s participation in the CIA program, vowed that his country would never act outside the boundaries of democracy. "This is a painful but very clear proof that no politician, even if hand-in-hand with the biggest superpower in the world, can do something that will never see the light of the day," Tusk said. "We must act calmly, discreetly and in the spirit of responsibility for the state on this, but we can take no pride in the fact that such cases must be investigated in Poland." 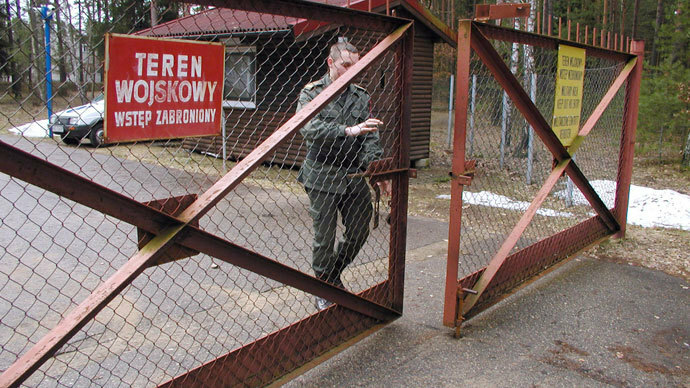 Investigators believe a military base in Stare Kiejkuty, northeastern Poland, was the location of one of the CIA secret prisons between December 2002 and September 2003. Some of the terrorist suspects allegedly transferred through Poland ended up in Guantanamo Bay, where the conditions are so deplorable that a 2005 Amnesty International report dubbed it the "Gulag of our times." In January 2013, Polish prosecutors awarded Abu Zubaydah, who was arrested in Pakistan in March 2002 and is now being held in Guantanamo, “victim status” in the investigation, following claims he was subjected to extraordinary rendition and secret detention in Poland. Zubaydah, whose lawyer says he was detained and tortured for 4 1/2 years in secret CIA prisons in Thailand, Poland, Romania, Lithuania and Morocco, was one of 14 “high-value detainees” transferred to Guantánamo in September 2006. Zubaydah, however, was eventually told by his US captors that they had made a mistake in suspecting him of being a leading member of Al-Qaeda. This was after he had been subjected 83 times to waterboarding, according to a 2005 US Justice Department legal memo. Waterboarding, which has now been universally condemned as a form of torture, is a technique that leads victims to believe they are drowning. "They told me, 'Sorry, we discover that you are not No. 3, not a partner, not even a fighter,'" said Abu Zubaida, according to the transcript of a Combatant Status Review Tribunal. Another victim of the interrogation technique was Khalid Sheikh Mohammed, the alleged mastermind of the Sept. 11, 2001, attacks on the United States, who was alleged to have been waterboarded 183 times while being held at Stare Kiejkuty. More astonishing, however, is how much the president of Poland at the time, Alexander Kwasniewski, was apparently aware of the activities between Polish intelligence and the CIA. When Kwasniewski subsequently learned that CIA-leased planes had been flying terrorist suspects in and out of Poland, he ordered the detention center to be shut down, the sources told the Polish daily. The newspaper added, however, that Poland’s investigation is being actively pursued, that Zubaydah's lawyer had access to many of the case files and that it would provide the European Court of Human Rights with extracts of the files that were not confidential. 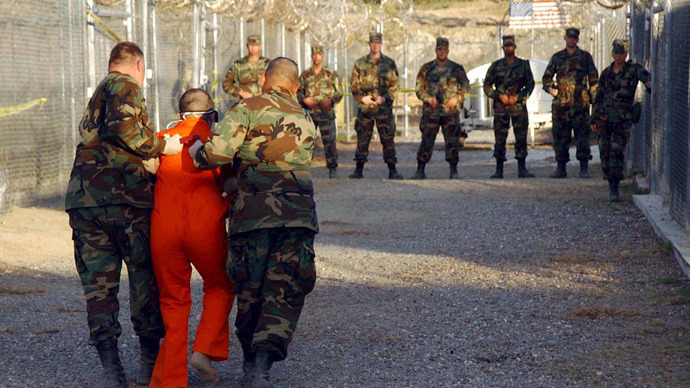 The US has acknowledged that it had secret prisons around the world where it detained suspects in the “War on Terror.” Holding the detainees on foreign territory meant that the individuals were not entitled to legal protection guaranteed under US law. 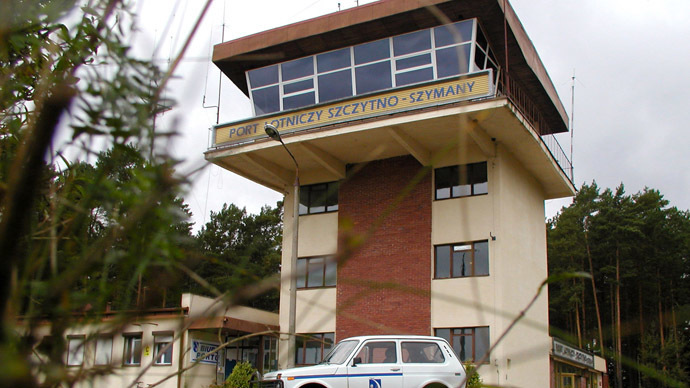 Polish officials, meanwhile, still deny the country hosted any US "black sites," though they say that in 2002 and 2003, CIA aircraft made illegal flights into an airfield in northern Poland, near the site of the alleged prison.